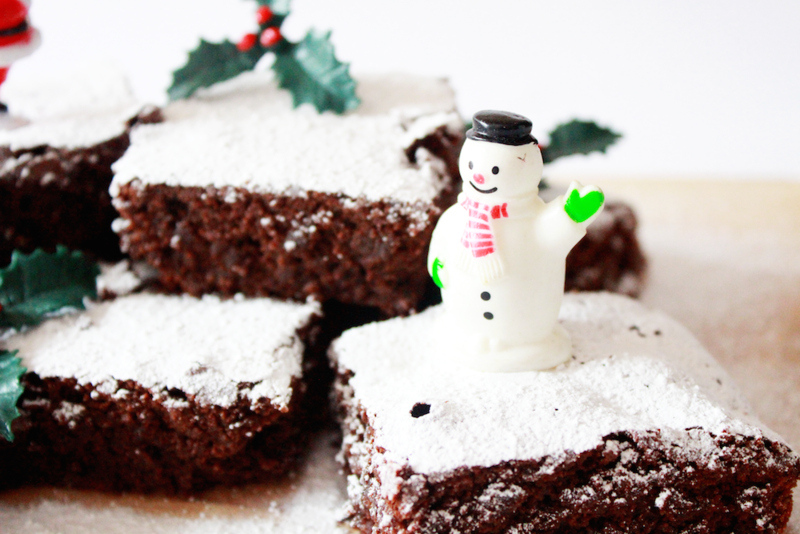 I'm not sure you can have too much chocolate at Christmas and in a bid to make my brownies more festive I've flavoured them with mulled wine! Its a very indulgent treat, perfect warmed and served with cafe latte ice cream as a replacement for the traditional xmas pudding that no one in our house eats anyway. Preheat fan oven to 170c and line a square baking tin. Melt the butter and chocolate together and mix. Whisk the eggs until light and fluffy, add the dark muscovado sugar and mix until thick then fold in the melted chocolate and butter. Sieve the flour and add with the walnuts, mulled wine and vanilla extract and fold until smooth. Pour into the baking tray and bake for 30-35 mins. Cool before cutting into pieces and serving. I covered mine in a festive sprinkling of icing sugar to look like snow and created this little winter wonderland scene using christmas cake decorations, cute! 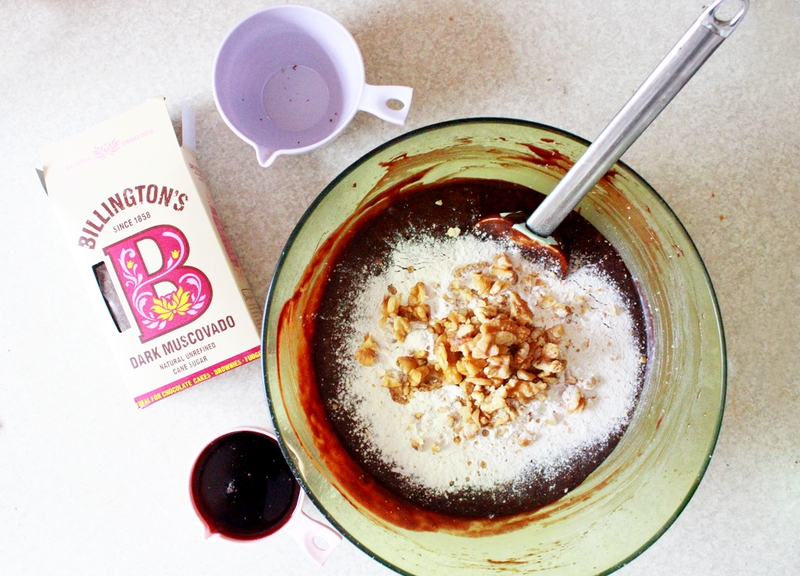 I hope you get to make these devilishly good brownies and eat some in front of a log fire with a glass of mulled wine! Christmas heaven! 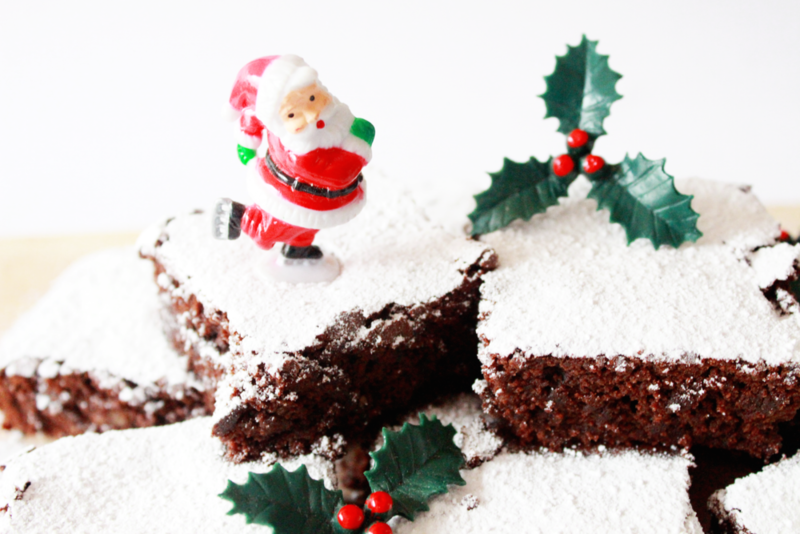 Fancy more festive recipes? Why not check out my easy peasy Christmas Snowflake Biscuit recipe!